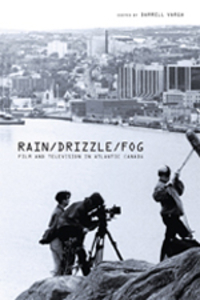 Rain/Drizzle/Fog : Film and Television in Atlantic Canada is the first scholarly study of film and television in Atlantic Canada. With contributors from across the country, the book provides a broad historical overview of film and television in the region, as well as essays on specific topics in contemporary popular television (Trailer Park Boys), early television (Don Messer's Jubilee), and the work of filmmakers such as Bill MacGillivray, Andrea Dorfman, Thom Fitzgerald, and others. This collection is informed by a critical perspective on prevailing stereotypes of culture in the Atlantic region, as well as by history and political-economy debates on the relationship between Atlantic and central Canada. It is also in large part a response to the continued marginalization of regional film and television within the field of Canadian film studies, which has traditionally been dominated by a critical and artistic canon from central Canada and Quebec. Rain/Drizzle/Fog challenges the prevailing tendency to homogenize the complexity of Canadian cultural production and instead celebrates the regional distinctions that make Atlantic film and television unique.